Candidates who wish to apply for the NCR Recruitment 2018, they can apply offline from this page. The higher authorities of the Noth Central Railway had invited the offline forms for the 446 Apprentice (Fitter, Welder (Gas&Elect), Mechanic(DSL), Machinist, Painter (Genl), Carpenter, Electrician, Lohar/Black Smith) under the NCR Job Openings 2018. Note that the application process has started and you can submit your forms on or before the last date, 17th December 2018. From this article, candidates can take out the lost more stuff relevant to the North Central Railway (NCR) Advertisement 2018 such as Eligibility Criteria, Selection Procedure together with the important dates for the NCR Offline Application Form. Elsemore, we have also shared you with the appropriate link to download the NCR Recruitment 2018 at the end of this page. Further, you can get the post-wise vacancies, the application procedure, application fee and the pay scale for each post. All the candidates who are hunting for the NCR Recruitment 2018 can find this as the appropriate place. Moreover, you can even apply for the North Central Railway (NCR) Recruitment 2018 from this page. And the officials are yet to release the exam date on their official portal. So, check this page and get the whole stuff. Meantime, remember that the officials of the organization will not allow the candidates who apply for the NCR Recruitment 2018 after the end date. In the below table, candidates can check the Post-Wise Vacancies For ncr.indianrailways.gov.in Jobs 2018. It is mandatory for the candidates who applied for the NCR Recruitment 2018. The candidate must have passed the 10th class examination or its equivalent (under 10+2 system) with minimum 50% marks and possess essential ITI passed certificate in related trade from a recognized Industrial Training Institute affiliated to NCVT/SCVT. Certificate issued by the principal is not accepted. The upper age limit may be relaxed by 5 years in case of SC/ST candidates and 3 years in case of OBC candidates. Till now, the higher authorities of North Central Railway (NCR) had announced the exact pay scale for the selected candidates. But they will the salary as per the rules and regulations of the organization. 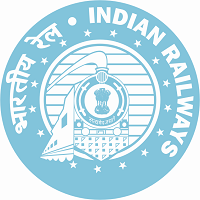 Initially, applicants have to visit the official site of North Central Railway (NCR) that is ncr.indianrailways.gov.in. In that go to the Careers section which is on the left side of the home page. Search for the blinking link of NCR Recruitment 2018. Download the NCR Recruitment 2018 Notification. Read the complete details in the NCR Recruitment 2018 Notification. If you are eligible, then apply for the NCR Recruitment 2018 in your own handwriting. Send it to the below address along with the documents. Office of the Divisional Railway Manager, Personnel Branch, North Central Railway Jhansi U.P. Hope all the candidates will apply to the NCR Recruitment 2018 after referring to this page. Thus, for the latest information candidates can visit our Sarkari Recruitment website regularly.